A party, an evening get together or just a casual meeting, a cup of tea is an indispensable part of all. No matter whatever the weather or occasion is, tea forms an important part of all and is one of the most consumed beverages across the globe. Besides keeping you hydrated and fresh, tea also contains variety of health promoting ingredients. There are wide variety of tea that is consumed across various cultures of the world including green tea, herbal tea, black tea, detox tea and many others. The most important health benefit of tea is its weight maintaining properties as it helps to improve the metabolism rate. Consuming 5 cups of green tea daily can help to burn additional 70 to 80 calories. Green tea also maintains weight by interfering with the fat formation process in the body. Moreover tea itself is calorie free and thus healthy. It’s the milk and the sugar that add to the calorie content of the tea. Tea is a rich source of antioxidants which protects body from various types of diseases and cancer. The antioxidant also gives protection from ageing and pollution. Tea consumption helps to keep the arteries clog free and smooth which leads to reduced risk of stroke and blood pressure and blood clots. The phytochemicals present in tea helps to make the bones healthy and strong. Green tea is also said to improve the mineral density of the bones. 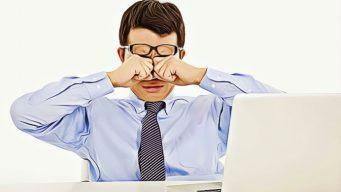 Like other parts of the body, the eyes also suffer from stress and are prone to various types of diseases. Green tea is healthy for the eyes tissue and especially the ones which are related to the retina. Majority of the people think that tea causes bad teeth but the actual culprit is not the tea but the added sugar. In actual, tea is a source of tannins and fluorise which help to keep the plaque away. Thus unsweetened tea will surely help you to have a sweet smile. The caffeine content in tea helps to lower down the risk of diabetes. Tea helps you to keep yourself hydrated by looking after your daily beverage requirements. Only when you drink more than 5-6 cups a day, this caffeinated drink may pose a problem. Black tea helps to reduce the stress levels and also control the blood pressure by reducing the stress hormones in the body. Tea helps to make the immune system of the body stronger so that it can fight against various types of infections. If you feel this article of top 10 health benefits of tea and drinking tea everyday are helpful for you, just feel free to leave all your feedbacks/comments at the end of this post. We appreciate your contribution and will respond all as soon as possible.